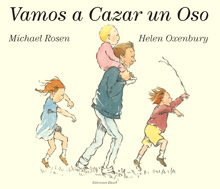 Michael Rosen’s poems take the scariness out of poetry. Typical of all his writing is a sense of humour, sharp observation and word play. Rosen has the ability to convey a sense of being onto the page and this is probably why children and adults alike love his work.